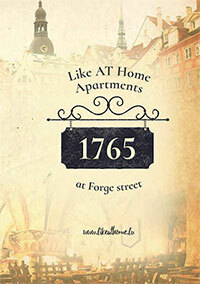 We are happy to welcome you as our potential guest in the Middle Age style apartments “1765”! Our apartments are not just a temporary living place - it's a small piece of your travel adventure that helps you feel our country, our city and its atmosphere better. And of course, it helps you feel yourself Like AT Home! Why? 1. 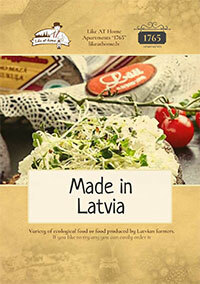 Furniture, interior details were designed and produced by Latvian craftsmen using ancient material. Thereby, design conveys the spirit of antiquity and brings cosiness. 2. Design was developed according to the history of this house and the street. Apartments was named "1765" in honor of the date on which the house was built. 3. To make our guests fully feel Like AT Home, our team provides various types of free services. 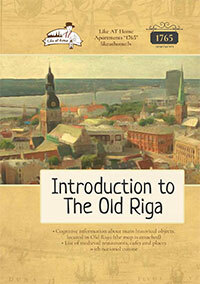 Also, we developed brochures that should help you better learn the city and the country: useful information, delivery of Latvian ecological products and numerous tourist excursions with a guide (or without) in Riga and Latvia. Below you can see brochures developed by the Like AT Home team. In order to use services provided by the Like AT Home team, please inform our team's member in advance (at least 2 days in advance). Note: apartments are situated on 1-st floor and there is no lift. Reservation is possible through booking.com or airbnb.com. 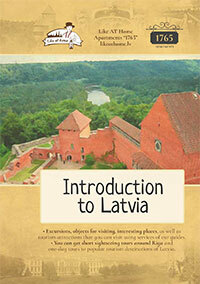 If guest wants to book apartments directly, he should write to e-mail info@likeathome.lv, indicating booking dates. We wish you to have wonderful holidays and hope, that you will be happy with our service!